The sun is shining, washing is on the line and I really should be out collecting apples. I’m not, I’m currently waiting for my lunch. It is nearly ready tho. As I was walking down to the hen house this morning I noticed a patch of lunch in the waiting… I later came back with my big foraging basket. And rubber gloves. Why the gloves? There’s your answer! Jon recently cleared a patch of scrub and I noticed that the heads of nettles are peeping up through. It is totally the wrong time of year to be making nettle soup, do I care? 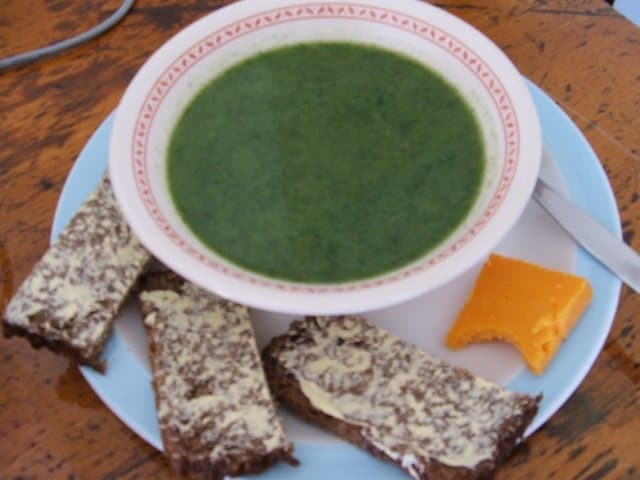 So, being unable to find my mini ‘Food for Free’ book and my ususal soup recipe within and preferring not to use Mr Fearnley Whittinstall’s version as, well frankly, I think it’s horrid, I threw caution to the wind and made it up as I went along. Afterall it’s nettle soup, not rocket science. I chopped a heap of onions & garlic & fried in a dab of oil. 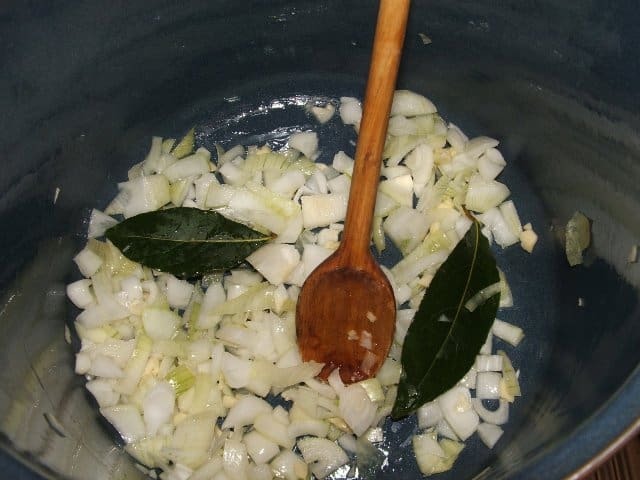 Added chopped potatoes & 2 bay leaves then chucked in the basket of nettle tops, a block of frozen chicken stock & some boiling water from the kettle. Cooked it all till potatoes were soft, removed bay leaves & whizzed it all up. Et Voila! Well, it was… Scrummy! My only fault would be that it needed a little drizzle of cream to complement the healthy, greenness and stop me feeling as virtuous as I currently am. The only bought item in the soup was garlic, that’s not bad a free, locally sourced, food mile free, organic, close to nature meal now is it!! 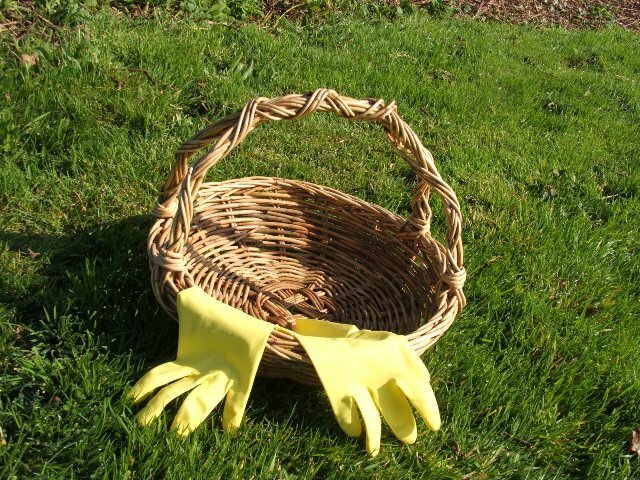 For the record, rubber gloves are the clothing of choice when going picking – gardening gloves leave wrists too naked for my liking. Just mind you don’t tear them on hidden brambles. Thats an interesting recipe. 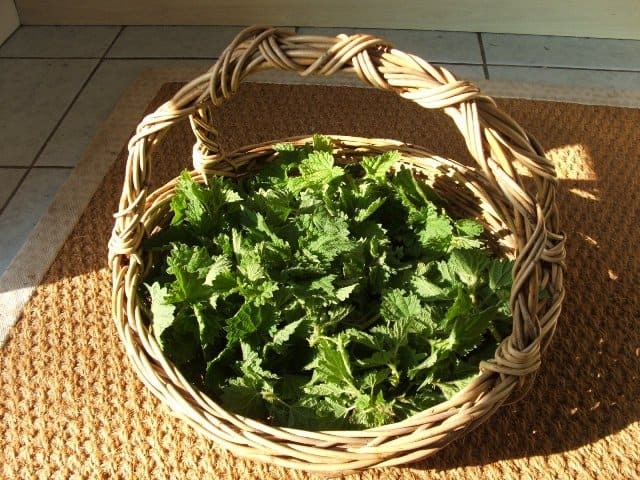 I gather nettles and cook them for the dogs (along with other vegggies) theya re a good source of vitamins and iron.I’ve never eaten them myself though but it is a great idea to get your own back on them. As Angel said “Now you tell me” Been fighting with armies of them this year and now they’re gone! Looks really yummy soup so will be on the lookout for a fresh supply.